Thre are many benefits to setting up a home network system linking all of your devices to the Internet and to each other. 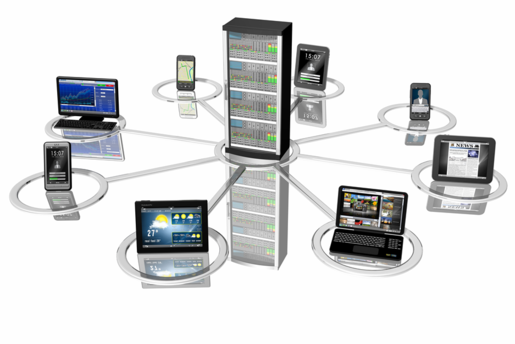 In Control Tek uses both wired and wireless technologies, connecting all devices to a central point called a hub or a router. Identifying the most reliable connection and speed. We can do the network cabling if necessary or setting up routers to various locations for the best receptions for streaming games and video. Resolving slow speed issues with the wrieless nework (lack of signal/slow speeds). Setting up VOIP system in multiple locations and provide advice on best options. In Control Tek can set up network/internet in another building on the same property and that may only be done with a wireless bridge between the two. Property Managers often call on us for network wiring updated to be added to renew a lease. To get started with a free site survey, call 407-988-1200 today. Home Advisor Top Rated Pro and for its Excellent Customer Service!